As you guys know I love my swatches, I feel like you see the makeup in another light you can see the full potential. I love using stencils and showing you guys on My Instagram. 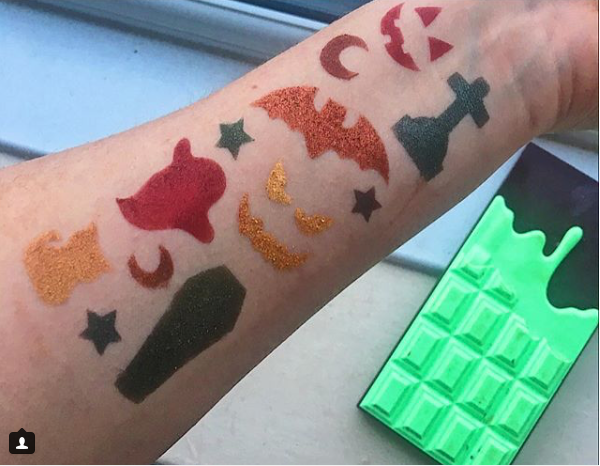 Here are some Halloween stencils from Miss Fitz, I have created some beautiful halloween swatches using the Makeup Revolution Mint Chocolate palette.